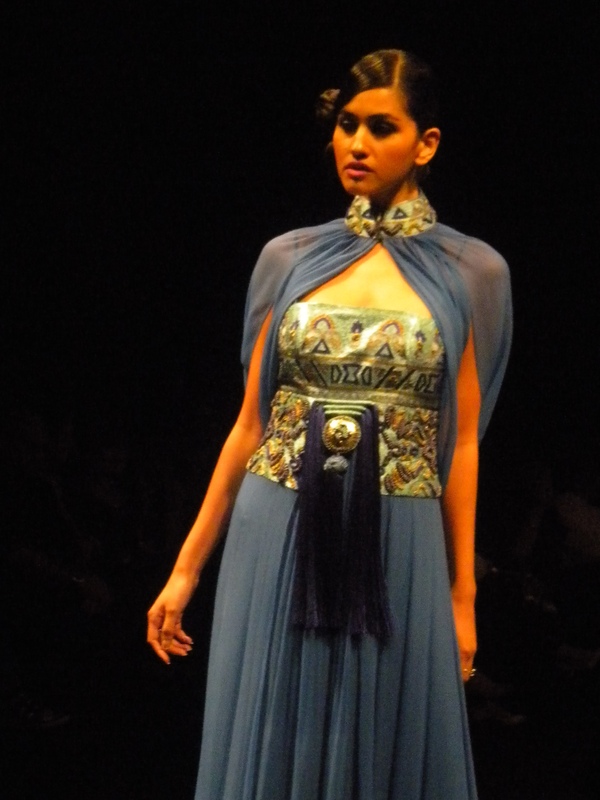 Zareena Couture presented last night their Haute Couture Collection 2011 at the World Trade Center Dubai. 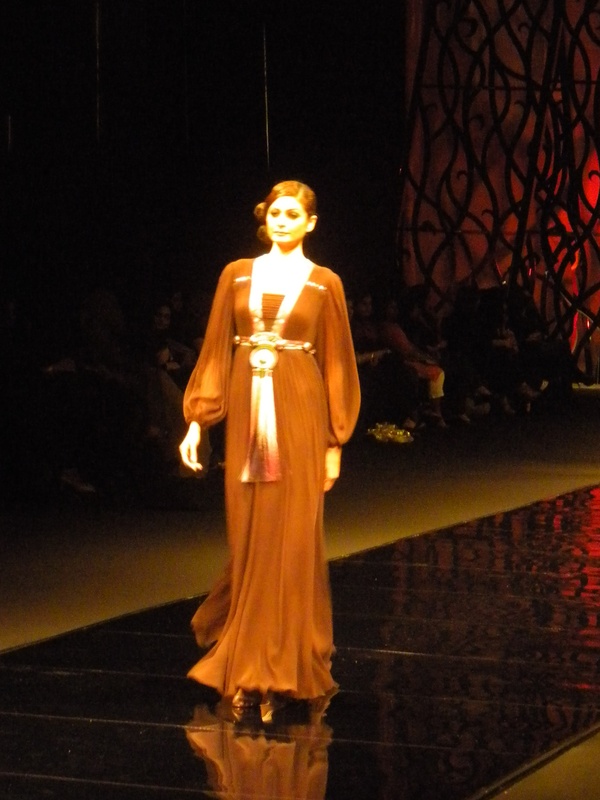 Elegantly crafted jalabiyas with western flavor strutted the super fabulous runway. Zarrena Yousuf is an Emarati designer and owns the label Fasateen, whose works grace celebrities, fashionistas and royalties. 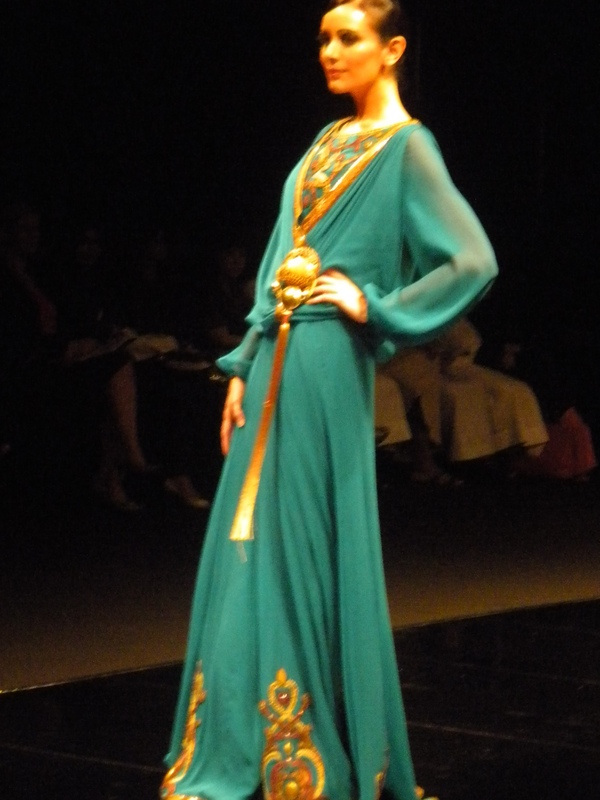 The bejeweled kaftans locally called jalabiyas, maintain harmonious balance between traditional and western influence. 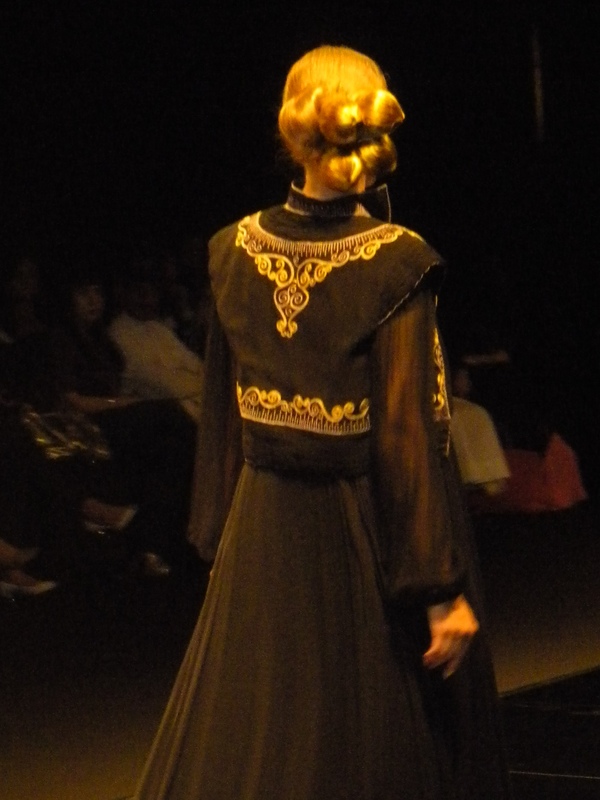 Inspired by the Moroccan ethnic silver and gold jewelries, the breathtaking pieces exuded luxury. 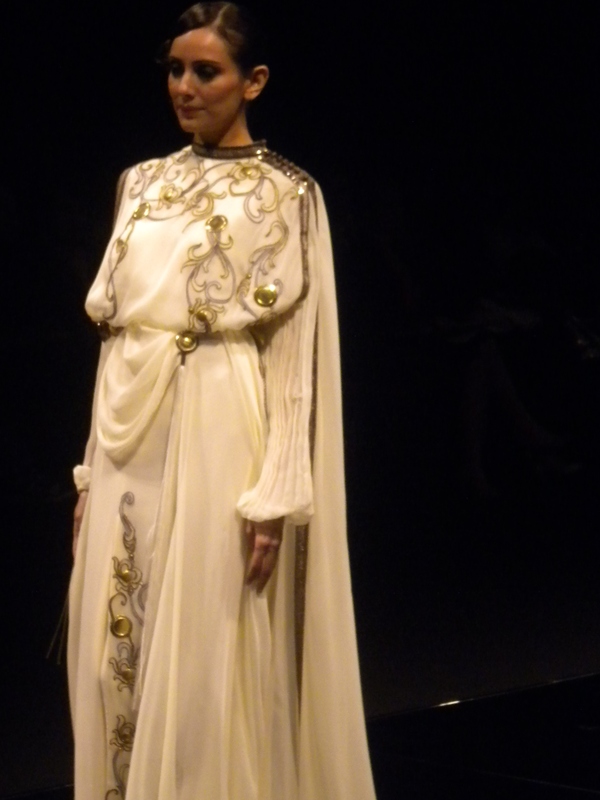 Chiffons and crepes were draped and pleated and inserted to waist and bodice. 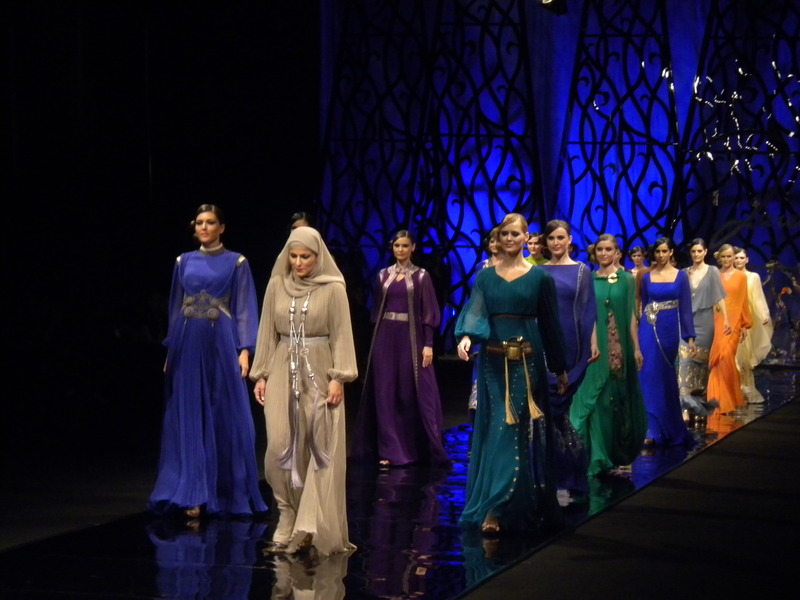 The colors in rainbow palette dazzled the exuberance of arabisque art pieces. Good replies in return of this difficulty with real arguments and explaining all concerning that.